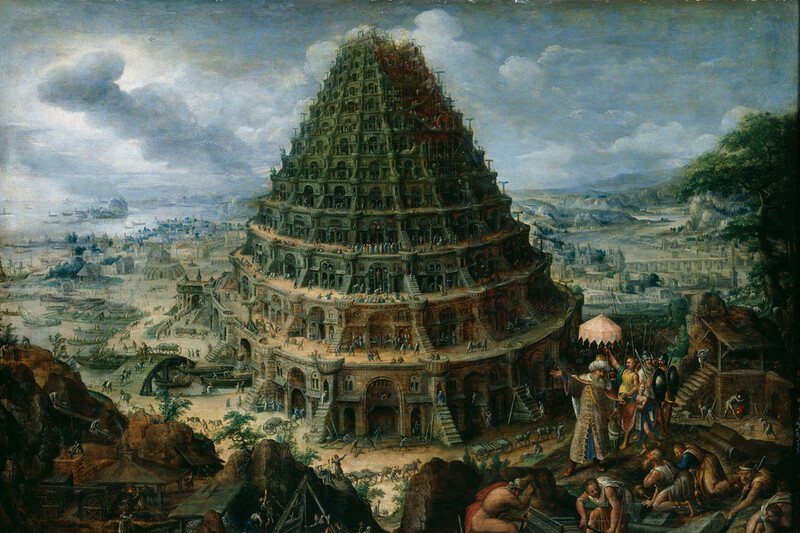 It isn’t an accident that the Bible’s tale of the Tower of Babel presents multilingualism as a divine curse meant to hinder our understanding.In 1880 a Bavarian priest created a language that he hoped the whole world could use. He mixed words from French, German and English and gave his creation the name Volapük, which didn’t do it any favors. Worse, Volapük was hard to use, sprinkled with odd sounds and case endings like Latin. Thankfully, fears that English will become the world’s only language are premature. Few are so pessimistic as to suppose that there will not continue to be a multiplicity of nations and cultures on our planet and, along with them, various languages besides English. It is difficult, after all, to interrupt something as intimate and spontaneous as what language people speak to their children. Who truly imagines a Japan with no Japanese or a Greece with no Greek? The spread of English just means that earthlings will tend to use a local language in their own orbit and English for communication beyond. But the days when English shared the planet with thousands of other languages are numbered. A traveler to the future, a century from now, is likely to notice two things about the language landscape of Earth. One, there will be vastly fewer languages. Two, languages will often be less complicated than they are today—especially in how they are spoken as opposed to how they are written. 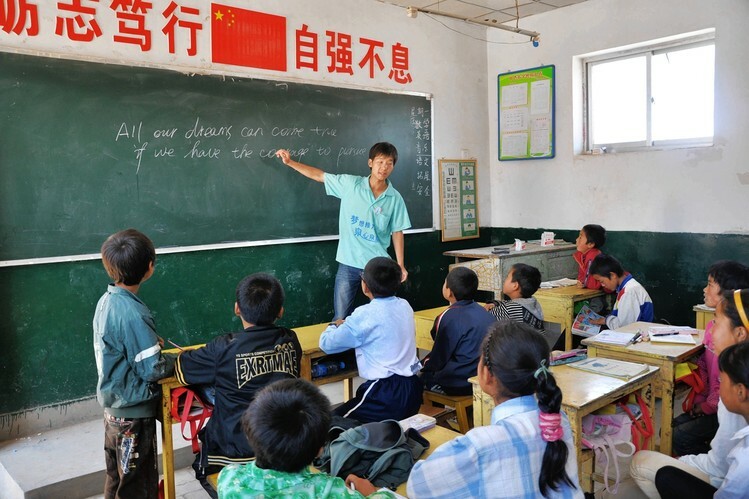 A Chinese teacher gives an English lesson to students in the Gansu province of northwest China in July 2013. Some have predicted that Mandarin Chinese will eventually become the world’s language, but its elaborate tones are too difficult to learn beyond childhood. Yet more to the point, by 2115, it’s possible that only about 600 languages will be left on the planet as opposed to today’s 6,000. Japanese will be fine, but languages spoken by smaller groups will have a hard time of it. Too often, colonialization has led to the disappearance of languages: Native speakers have been exterminated or punished for using their languages. This has rendered extinct or moribund, for example, most of the languages of Native Americans in North America and Aboriginal peoples of Australia. Urbanization has only furthered the destruction, by bringing people away from their homelands to cities where a single lingua franca reigns. Even literacy, despite its benefits, can threaten linguistic diversity. 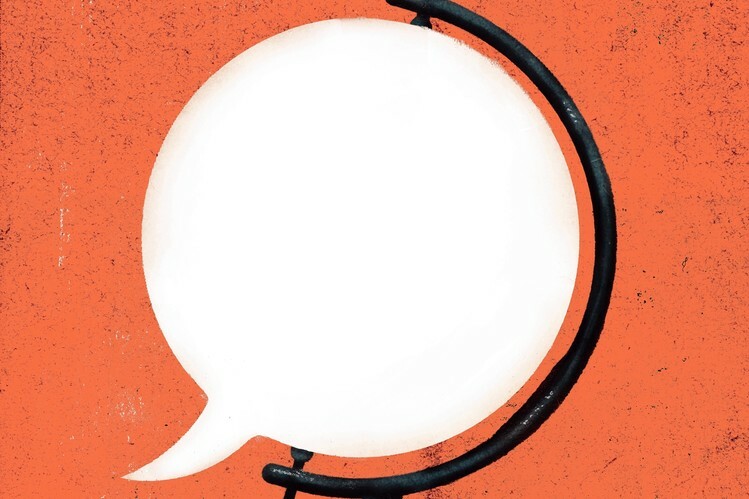 To the modern mind, languages used in writing, with its permanence and formality, seem legitimate and “real,” while those that are only spoken—that is, all but a couple hundred of them today—can seem evanescent and parochial. Few illusions are harder to shed than the idea that only writing makes something “a language.” Consider that Yiddish is often described as a “dying” language at a time when hundreds of thousands of people are living and raising children in it—just not writing it much—every day in the U.S. and Israel. It is easy for speakers to associate larger languages with opportunity and smaller ones with backwardness, and therefore to stop speaking smaller ones to their children. But unless the language is written, once a single generation no longer passes it on to children whose minds are maximally plastic, it is all but lost. We all know how much harder it is to learn a language well as adults. In a community where only older people now speak a language fluently, the task is vastly more difficult than just passing on some expressions, words and word endings. The Navajo language made news recently when a politician named Chris Deschene was barred from leading the Navajo nation because his Navajo isn’t fluent. One wishes Mr. Deschene well in improving his Navajo, but he has a mountain to climb. In Navajo there is no such thing as a regular verb: You have to learn by heart each variation of every verb. Plus it has tones. But the very things that make these languages so fabulously rich also makes it hard to revive them once lost—it’s tough to learn hard stuff when you’re grown, busy and self-conscious. There are diligent efforts to keep various endangered languages from dying, but the sad fact is that few are likely to lead to communities raising children in the language, which is the only way a language exists as its full self. Instead, many communities, passing their ancestral language along by teaching it in school and to adults, will create new versions of the languages, with smaller vocabularies and more streamlined grammars. The Irish Gaelic proudly spoken by today’s English-Gaelic bilinguals is an example, something one might call a “New Gaelic.” New versions of languages like this will be part of a larger trend, growing over the past few millennia in particular: the birth of languages less baroquely complicated than the linguistic norm of the premodern world. The first wave in this development occurred when technology began to allow massive, abrupt population transfers. Once large numbers of people could cross an ocean at one time, or be imported by force into a territory, a new language could end up being learned by hordes of adults instead of by children. As we know from our experiences in the classroom, adults aren’t as good at mastering the details of a language as toddlers are, and the result was simpler languages. Vikings, for example, invaded England starting in the eighth century and married into the society. Children in England, hearing their fathers’ “broken” Old English in a time when schooling was limited to elites and there was no media, grew up speaking that kind of English, and the result was what I am writing now. Old English bristled with three genders, five cases and the same sort of complex grammar that makes modern German so difficult for us, but after the Vikings, it morphed into modern English, one of the few languages in Europe that doesn’t assign gender to inanimate objects. Mandarin, Persian, Indonesian and other languages went through similar processes and are therefore much less “cluttered” than a normal language is. The second wave of simplification happened when a few European powers transported African slaves to plantations or subjected other people to similarly radical displacements. Adults had to learn a language fast, and they learned even less of it than Vikings did of English—often just a few hundred words and some scraps of sentence structure. But that won’t do as a language to fully live in, and so they expanded these fundamentals into brand-new languages. Now these languages can express any nuance of human thought, but they haven’t existed long enough to also dangle unnecessary things like willfully irregular verbs. These are called Creole languages. It’s far easier to manage a basic conversation in a Creole than in an older language. Haitian Creole, for example, is a language low on the complications that make learning Navajo or Hmong so tough. It spares a student from having to know that boats are male and tables are female, which is one of the reasons that it’s so hard to master French, the language from which it got most of its words. Creole languages were created world-wide during the era that the textbooks call Western “exploration.” African soldiers created an Arabic Creole in Sudan; orphans created a German one in New Guinea. Aboriginal Australians created an English Creole, which was passed on to surrounding locations such as, again, New Guinea, where under the name Tok Pisin it is today the language of government for people speaking hundreds of different native languages. Jamaican patois, South Carolina’s Gullah and Cape Verdean are other examples. Modern population movements are now creating a third wave of language streamlining. In cities world-wide, children of immigrants speaking many different languages are growing up speaking among themselves a version of their new country’s language that nibbles away at such arbitrary features as irregular verbs and gendered objects. It’s a kind of compromise between the original version of the language and the way their parents speak it. 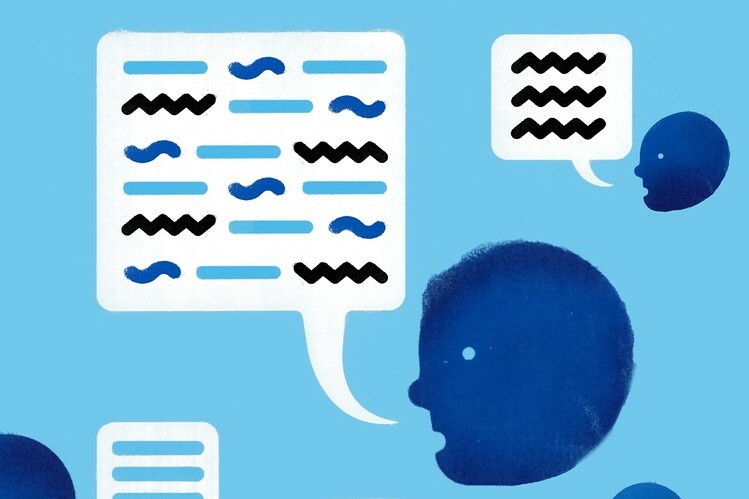 Linguists have no single term yet for these new speech varieties, but from Kiezdeutsch in Germany to “Kebob Norsk” in Norway, from the urban Wolof of Senegal to Singapore’s “Singlish,” the world is witnessing the birth of lightly optimized versions of old languages. These will remain ways of speaking that are rarely committed to the page. Yet as we know from languages like Yiddish, this will hardly disqualify them as thriving human languages. This streamlining should not be taken as a sign of decline. All of the “optimized” languages remain full languages in every sense of the term, as we know from the fact that I’m writing in one: An Old English speaker who heard modern English would consider it confounding and “broken.” That any language has all irregular verbs, eight tones or female tables is ultimately a matter of accident, not design. Hopefully, the languages lost amid all of this change will at least be described and, with modern tools, recorded for posterity. We may regret the eclipse of a world where 6,000 different languages were spoken as opposed to just 600, but there is a silver lining in the fact that ever more people will be able to communicate in one language that they use alongside their native one. After all, what’s peculiar about the Babel tale is the idea of linguistic diversity as a curse, not the idea of universal comprehension as a blessing. The future promises both a goodly amount of this diversity and ever more mutual comprehension, as many languages become easier to pick up, in their spoken versions, than they once were. A future dominated by English won’t be a linguistic paradise, in short, but it won’t be a linguistic Armageddon either.